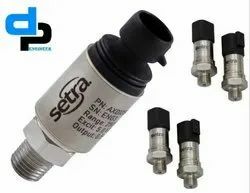 We are a leading Manufacturer of setra 3100b0018g1gb pressure transmitter 0-18 bar, setra 3100b0020g01b pressure transmitter 0-20 bar, setra 3100b0030g01b pressure transmitter 0-30 bar, setra 3100b0035c02b pressure transmitter 0-35 bar, setra 3100b0035g02e pressure transmitter 0-35 bar and setra 3100b0040g01b pressure transmitter 0-40 bar from Delhi, India. For OEMs that need consistent high levels of performance, reliability and stability the 3100 and 3200 Series sputtered thin film units offer unbeatable price performance ratio in a small package size. 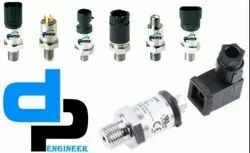 They feature all‑stainless steel wetted parts, a broad selection of electrical and pressure connections, and wide choice of electrical outputs to allow stock configurations suitable for most applications without modification. At the heart of both these series is a sputter element that also provides exceptional temperature specifications. Plus, our manufacturing process for the 3100 and 3200 Series include the latest automated equipment, producing the most consistent and best price to performance sensor on the market today. The compact construction of both these series makes them ideal for installation where space is at a premium ‑ and they are fully RoHS compliant. For OEMs that need consistent high levels of performance, reliability and stability the 3100 and 3200 Series sputtered thin film units offer unbeatable price performance ratio in a small package size. They feature all?? 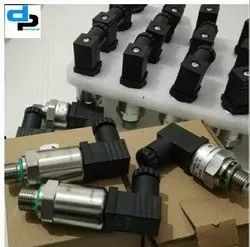 ?stainless steel wetted parts, a broad selection of electrical and pressure connections, and wide choice of electrical outputs to allow stock configurations suitable for most applications without modification. At the heart of both these series is a sputter element that also provides exceptional temperature specifications. Plus, our manufacturing process for the 3100 and 3200 Series include the latest automated equipment, producing the most consistent and best price to performance sensor on the market today. The compact construction of both these series makes them ideal for installation where space is at a premium ??? and they are fully RoHS compliant. 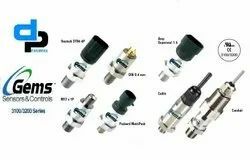 3100 Series Information0–100 psi to 0¿¿¿30,000 psi ranges (0¿¿¿7 bar to 0¿¿¿2,200 bar)Broad Choice of OutputsHigh Proof PressuresRoHS CompliantFor OEMs that need consistent high levels of performance, reliability and stability the 3100 and 3200 Series sputtered thin film units offer unbeatable price performance ratio in a small package size. They feature all¿¿¿stainless steel wetted parts, a broad selection of electrical and pressure connections, and wide choice of electrical outputs to allow stock configurations suitable for most applications without modification. At the heart of both these series is a sputter element that also provides exceptional temperature specifications. Plus, our manufacturing process for the 3100 and 3200 Series include the latest automated equipment, producing the most consistent and best price to performance sensor on the market today. 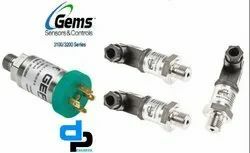 Additionally, 3200 Series Transmitters feature thicker diaphragms and a pressure restrictor to withstand the rigors of cavitations or extreme pressure spikes, delivering years of reliable and stable performance in pulsating applications.The compact construction of both these series makes them ideal for installation where space is at a premium ¿¿¿ and they are fully RoHS compliant. 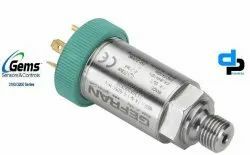 The 3100/3200 Series high-pressure OEM transducers feature a sputtered thin-film sensor to provide high levels of performance and stability for large volume OEM installations. 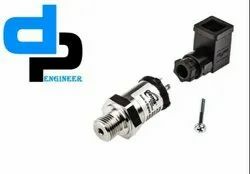 A wide choice of outputs as well as electrical and pressure connections means that the unit is suitable for most applications without modification. In addition, the compact construction of the 3100/3200 Series makes it ideal for installations where space is at a premium. The Model 3200 features a thicker diaphragm and a restrictor (optional) to handle environments where extreme positive or negative pressure spikes are a concern. Proof pressures on the Model 3200 are 3x full scale on 50 psi up to 10,000 psi pressure ranges. 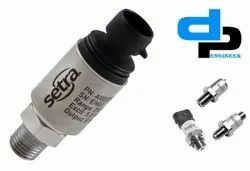 Looking for Setra Pressure Transmitter model 3100 and 3200 wholesale in Delhi,NCR India ?